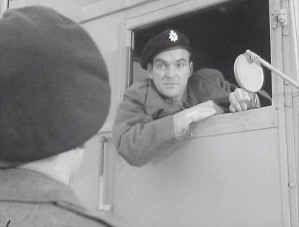 Another heist movie, this time British, and with an unusual setting. 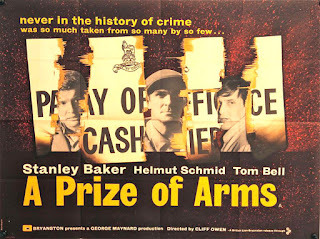 A Prize of Arms tells the tale of three men intending to rob an army station of its payroll. The plan, devised by a disgraced former officer (Stanley Baker), and executed with precision by him and his accomplices (Helmut Schimd and Tom Bell), comes up against difficulties. Baker doesn’t expect everything to run smoothly, but will his ability to improvise be enough to guarantee success? Indeed, the background of the characters is kept bare. 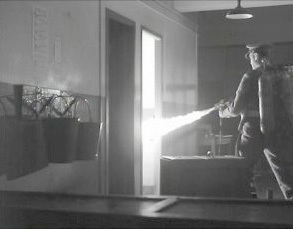 We do learn some facts about Baker, the origins of his underlying bitterness, and his anger, but of Schmidt we are told little beyond that he is a Pole, and had fought with the Free Polish forces during the Second World War. Bell is even more a mystery; Baker states simply that he is “amoral”. 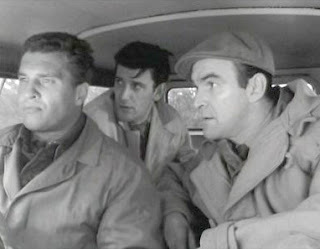 The three’s personalities are displayed through their actions and words as the film progresses. We do develop sympathy for the would-be felons, especially for Baker. This fine actor, little known today except among film-fans, had the hard almost cruel face and sarcastic, sneering tone of a born-villain. 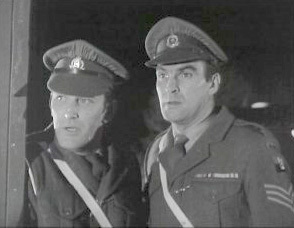 Yet he did portray heroes, notably Lieutenant Chard VC, in Zulu (1964), and a police detective in Hell is a City (1960). He often gave a dangerous edge to his characters. Yet, as may be seen in A Prize of Arms a small smile could turn him into someone you would confide in, and turn to for help. The other actors are very good, especially Bell as the impetuous, impatient youngest member of the team. 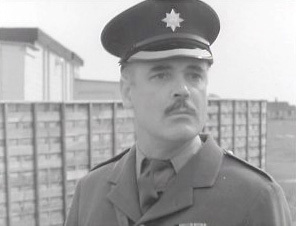 Smaller roles are filled by familiar players, such as Patrick Magee as a regimental sergeant-major, and Geoffrey Palmer, a mainstay of 1970s, ‘80s and ‘90s British television, as a motorcyclist. There is genuine tension toward the end as to whether the criminals will pull off their very clever heist, and a phrase spoken by Baker near the beginning may give a clue. 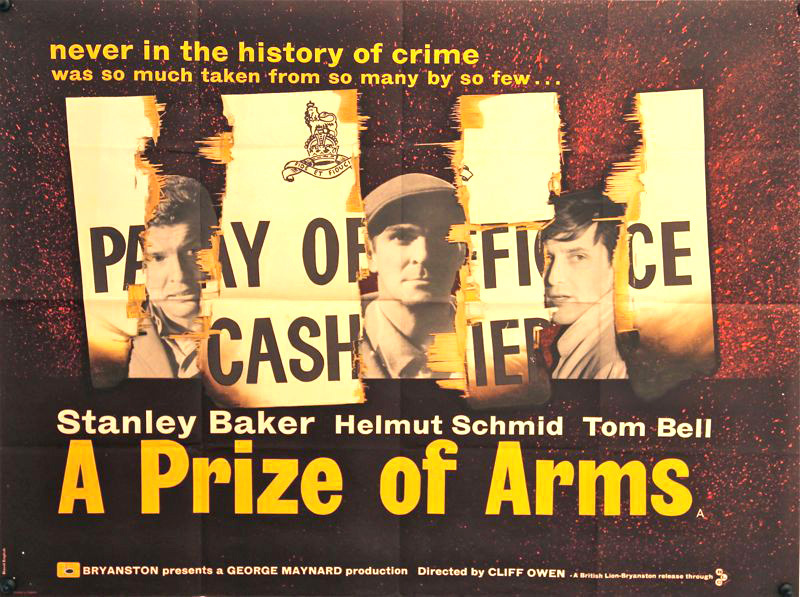 But A Prize of Arms should keep you guessing until the final half-minute. And that’s a pretty good test for a heist film.